On its own, the IKEA Malm products are pretty plain. I had one years ago, but never bothered to customize it. Honestly, I never even thought to do anything with it besides store my clothes. What I’ve discovered recently is that there are many brilliant hacks you can do with your IKEA Malm series items. Take a look at the links below and check out how these bloggers made their boring piece of furniture into something special. 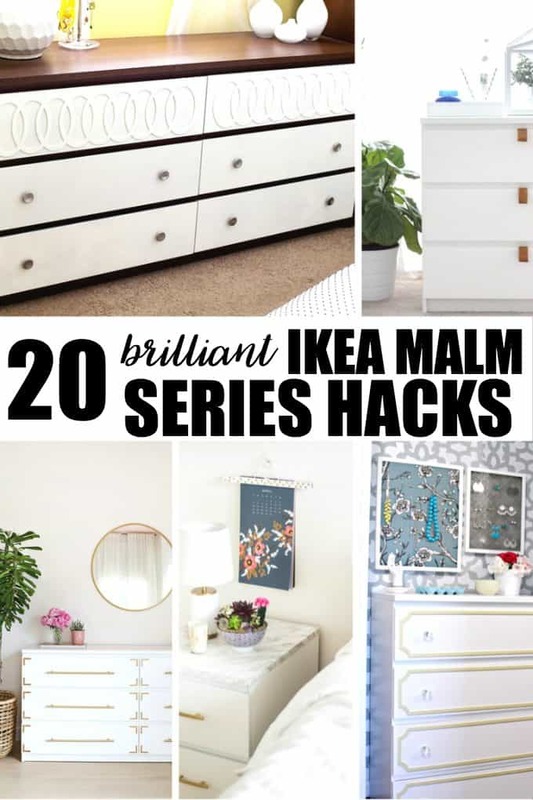 Which IKEA Malm hack is your favourite? Love some of those hack ideas. So much you can do with Ikea products with a little bit of creativity! Some fantastic hacks here, I just wish I was inventive. I’m going to have to be though as I’ll be buying cupboards at Ikea soon! I like #3. The marble top looks so pretty! This is a post that I will definitely have to share with my Mom – she loves Ikea! I love Ikea and the fact that you can “hack” almost everything there to suit your personality! I have Malm furniture… So I was giddy to see this post! So cool!!! Thanks for the ideas! So creative and unique. I had a Malm dresser before but sold it when we moved… I wish I was creative to have spruced it up and made it more interesting like these! I really like adding a faux marble top idea! I love, love, LOVE the Ikea Malm Dresser Goes Glam with the decorative fret-work panels! What a great idea! I love that Copper Triangle + Ikea Malm Dresser Hack – so neat-looking!